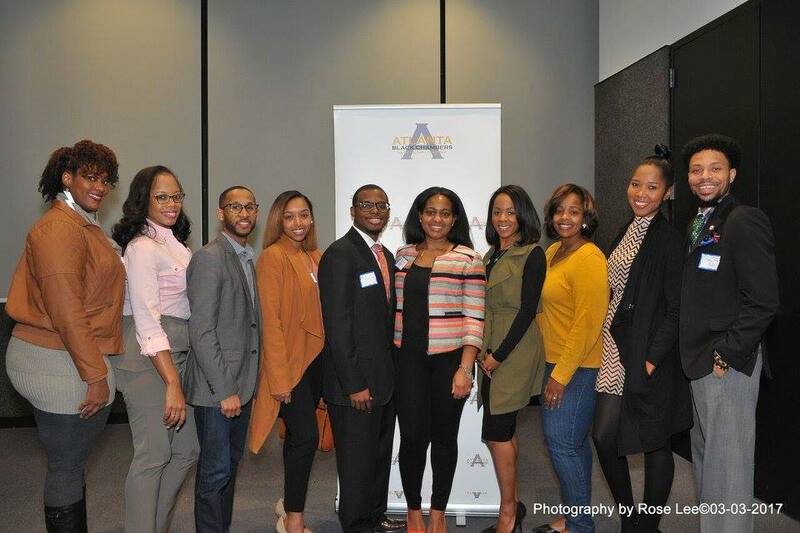 On Friday March 3rd 2017 the ABC partnered with the USBC for the Millennial Entrepreneurs Redefined Reception at The Gathering Spot. It was an awesome night of introductions and valuable connections for everyone in the building. The ABC was able to reconnect with individuals share with them all of the great things that are happening with the Chamber. The ABC officially welcomed the US Black Chambers to Atlanta. Everyone enjoyed the opportunity to hear from USBC President, Ron Busby. The HBCU Wall Street team shared their vision for the partnership with the USBC on the Millennial Entrepreneurs program. All Millennials are encourage to join us every third Saturday at our Millennial MeetUp from 11:00am-1:00pm at Herzing University Lenox Mall. The millennial generation, includes people between the ages of 18 and 34. Population data from the U.S. Census Bureau project that the “millennial” generation will surpass the Baby Boomer generation (born between 1946 and 1964) in population size in 2015. The millennial generation’s population increase—to approximately 75.3 million in 2015—is due in large part to increasing number of immigrants. 26-year-old Americans outnumber every other age group in the country, and may change the complexion of the economy. With Bill Smead, Smead Capital Management, and Torsten Slok, Deutsche Bank.